An established business giving total customer satisfaction by providing competitively priced, quality products, delivered on time. We offer machinery and replacement parts for hot melt adhesive systems compatible with the main hot melt equipment manufacturers (including Nordson, Meltex, Robatech, HHS, Meler, Valco, ITW Dynatec and Slautterback). 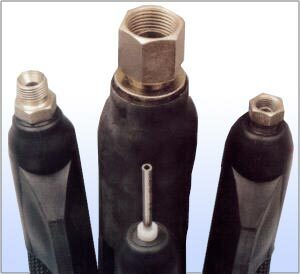 Special electrically heated hoses and systems can be designed and built to your own specification with full technical backup.